How to implement After Throwing Advice using Classic Spring Proxy-Based AOP in Java ?. 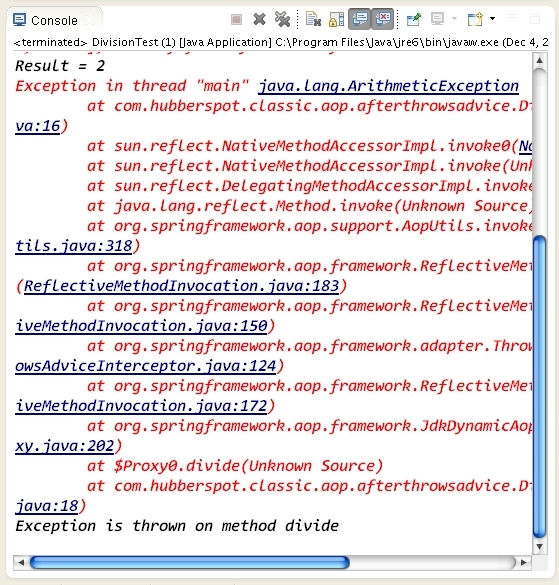 A simple application to demonstrate how to implement After Throwing Advice using Classic Spring Proxy-Based AOP in Java. // new ArithmeticException() is thrown. // handled by this advice.